Founded in 1896, the Merkur brand is the mark of quality in the wet shaving industry. 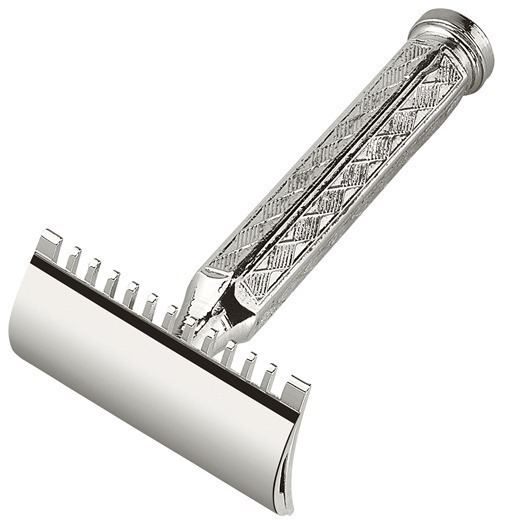 Merkur Classic 1906 double edge safety razor with an open tooth comb. The choice of many discriminating shavers. The open tooth helps pick the beard up for a comfortably close shave. The handle has a detailed art deco style design.